Bob Middleton has never been a status quo kind of guy. "I have always tried to improve and be the best I can," he says. "Having that mindset has created unexpected opportunities throughout my career. Striving to be the best in all you do is essential to being successful." Middleton, 2018 winner of our Multi-Brand Growth Leadership MVP Award, operates four brands with 42 restaurants in Michigan and Canada. 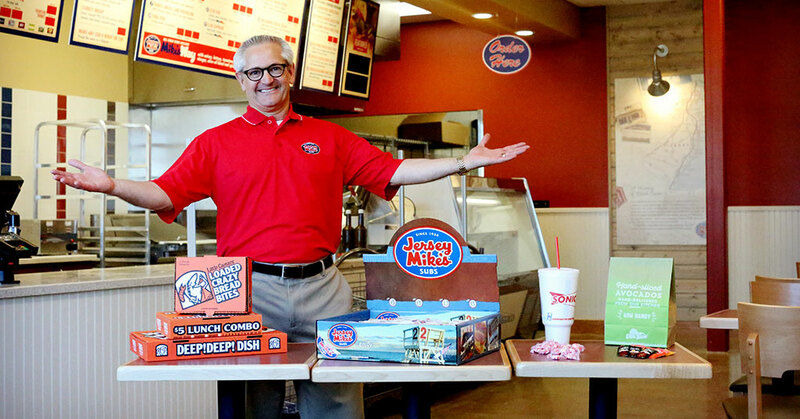 The franchising veteran's goal is to improve the performance of each of his brands--Del Taco, Jersey Mike's Subs, Little Caesars Pizza, and Sonic Drive-In--separately. "Each brand has a different culture, a different heartbeat, and you need to keep the brand culture pure to maximize the best performance the concept can be operationally," he says. "You can share the accounting, real estate, and HR people to create cost-saving synergies, but in my opinion you cannot share the operational people between brands. Each of my brands is also run by one of my hand-picked partners, so every brand I operate is basically run by an owner." These days, Middleton is gearing up for growth as part of a joint venture with Jersey Mike's parent company to expand the fast casual sub brand in Canada. Middleton presently has no plans to add a fifth brand, saying he is happy and having fun with his current portfolio. But never say never, he adds, preferring to diversify with brands that have solid unit economics and have been around a while, rather than the "new hot thing." "I want to see that a brand has been through tough times and survived to come back stronger," he explains. "I pay very close attention to cash flow. I personally like concepts that can be financed with a traditional 5-year loan. The real estate piece is not as important to me. Any of my brands exceeding a 3.5x EBITDA valuation I will grow, and keep growing." Having so many wonderful influences early in my restaurant career--people who believed in me, in my potential. Eventually being guided toward the franchise business model. Being invited to serve on several National Advisory Councils and President's Councils for different brands I operate. Earning awards at multiple brands for sales, marketing, and service excellence. Being named Franchisee of the Year by Jersey Mike's Subs in 2016. Receiving the MVP Award for Multi-Brand Growth Leadership this year at the Multi-Unit Franchising Conference. When you love what you do, it is not work. When you are an owner there is no such thing as a normal work week. You need to make sure you balance your work week, spend quality time with your family, and take care of your health. Having a balance is very important. A History of the United States in Five Crashes by Scott Nations. Wealth is built by focusing on one thing and doing it well; wealth is preserved by diversifying. Seeing people in my company develop and grow. I am passionate about giving back and giving my general managers the opportunity that I had, which was to become a franchisee. Spend a lot of time up front researching the franchise you want to go into business with. Once you go into business, focus on executing the business model, not changing it. Focus on the culture, mentor, train, communicate the expectation, and get out of the way. Let managers manage. Not trying to control everything. Passionate, focused, energetic, and determined. We are always looking for talent and use all of the usual vehicles for recruiting, but our most successful approach has been to develop organically when possible. We try to hire right so that we keep firing to a minimum, but when the fit is not right, or someone does something to be fired, we try to be honest, fair, quick, and move on. Each brand has its own training programs. We work on executing the program. I have found that the better you train, the longer they stay. Better training gives your team members more opportunity for advancement. We are always looking for ways to get better at training and retaining. It is one of the things we track closely, especially in the brands that are growing. Open 5 to 6 new restaurants. By same store sales comps, same store transaction comps, same store income comps, EBITDA (cash flow valuations), and unit counts. 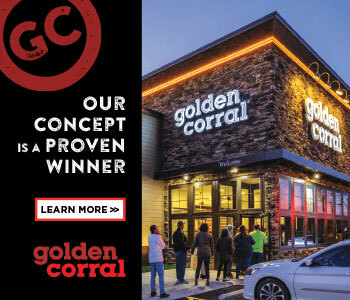 My vision is a leadership team that continuously develops our people, with a focus on growing our brands profitably to create more opportunities for our best general managers to become franchisee partners with us. Where do you want to be in 5 years? 10 years? During the next 5 years, I would like to keep growing all of the brands we operate, adding units when it makes financial sense. My biggest focus will be bringing Jersey Mike's Subs to Canada in a joint venture with the parent company. I hope to help grow the brand in Canada over the next 10 years. I am working hard on succession planning. I have family in the business and I do not plan to exit for a very long time. I love what I do, and I am focused on developing the current leadership team to carry on long after I'm gone. First of all, I was lucky enough to be nominated by Jersey Mike's. They have been exceptionally good to me. Second, my partners and I have been able to double the size of our companies since 2007, during the Great Recession, going from one to four brands in that time. We did all this by opening new stores, not through acquisitions, and with traditional bank financing. It was quite amazing, and I am so proud of my team. We created a ton of new jobs and incredible opportunity for our team members. By never settling, continuously improving, and growing. We spend a lot of time talking about the culture in each brand and developing leaders. We don't try to change a brand. We try hard to execute each individual brand to that brand's highest standards. We have a program that helps our general managers earn non-ownership shares in the store they operate. This creates value they can use to become a franchisee one day, if they choose. I have a hard work ethic and passion for what I do. Being able to serve others, creating opportunity for employees, and helping my general managers achieve the American Dream of owning their own business. Jersey Mike's founder, Peter Cancro, has a great philosophy of giving back that is part of the brand's DNA. We give to give, and that is an incredible feeling for the owners, employees, and community. What is so great is that every franchisee gets to decide what they are passionate about supporting in their community. We value hard work, teamwork, giving back, integrity, trust, and a desire to be the best we can.